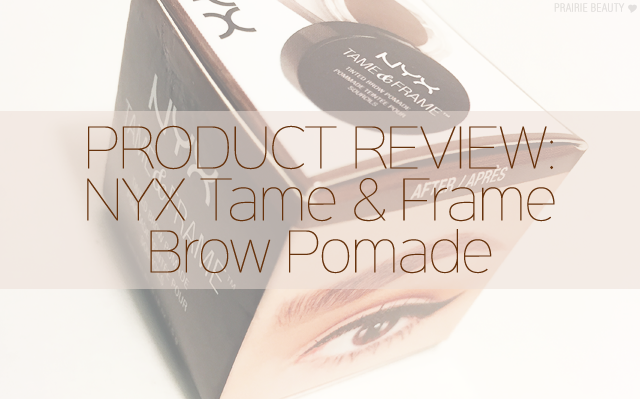 So I have to admit that I've actually had the NYX Tame & Frame Brow Pomade in the shade Brunette for a long time, but I didn't review it because I was never reaching for it enough to give a full review of it until now. For the past several weeks, I've been reaching for this with a consistency that surprised me and I'm definitely ready to let you guys know what I think. When this was released, it was a really hyped product, but it was also a little difficult for those of us in Canada to get our hands on. As soon as I saw it at my local London Drugs, I grabbed it up. 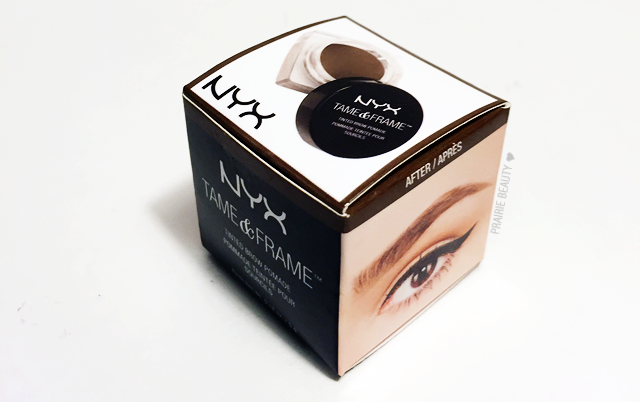 Though I'm not reviewing it as such, this has been claimed to be a dupe for the ever popular Anastasia Dipbrow Pomade. I've actually never tried that product, because I wasn't really willing to spend the money when I wasn't sure it was the type of product that I'd reach for in my collection. Anyway, onto the review! Give extra life to your brows with our easy-to-use brow pomade that glides onto skin and hair. Our smudge-proof waterproof formula comes in five shades to coax brows into prime shape. Stand up to humidity in style! You get 5g of product in this little tub, which I think is a good amount of product - and actually more than I thought it would be just from looking at it. For comparison, you only get 4g of product in the Anastasia Dipbrow Pomade. I quite like the packaging of this product. It's simple, as NYX products tend to be, with a frosted plastic tub and a black lid with a gloss finish and white branding. The shape of the packaging itself actually reminds me quite a bit of the L'Oreal Infallible Eyeshadows, though you can't see the product through the packaging on these. There's really not much more I can say about the packaging, is there? 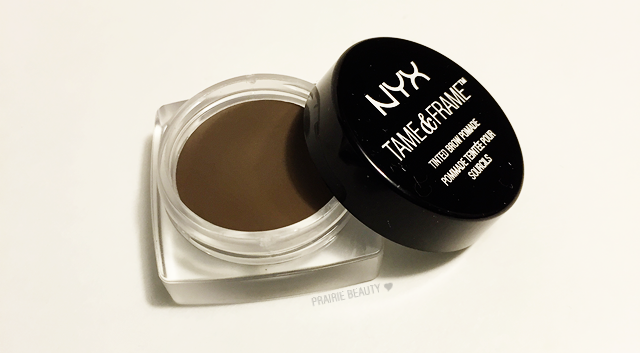 When I use the NYX Micro Brow Pencil, I go for the shade Ash Brown, but the shade range is narrower in the Tame & Frame so I chose the shade brunette, and I find that it also works quite well for me. For me, this has enough ashiness to look natural on my neutral-toned brows, but doesn't pull grey on me. 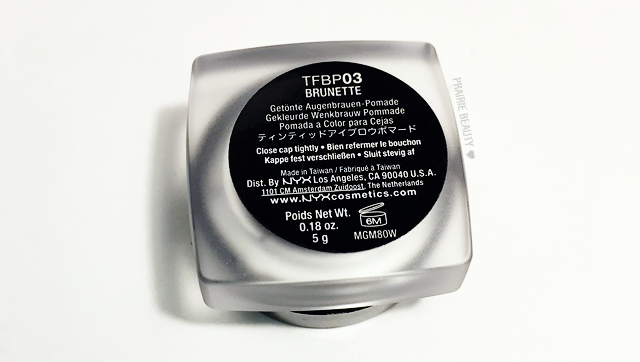 I think this shade is named well, because I think that it would work for a most brunettes. I use a light hand with it, which keeps the colour soft, but I think people will darker hair could use a heavier hand and get some more depth. This product is available in five shades. Blonde, Chocolate (which seems to be a warmer brown), Brunette, Espresso (a deeper neutral brown), and Black. Now, as to the formula - I'm a little bit in love. The best part for me is how long wearing this is. I find that I can get wear that lasts literally from when I first put it on in the morning to when I take my makeup off before bed. It's basically bulletproof. I like to apply this with a tiny angled brush and use a really light hand so that I can get a really soft, natural looking brow. Because my brows are really sparse at the tails, I do use a little bit more pressure in that area, but not a lot. This method applies just the right amount of product to my brows and keeps everything really soft. I know some people will want to use a product like this for really sharp looking Instagram brows, but that's not my personal taste so I can't really speak to how it works in that way. Overall, I wish I hadn't left this sitting in my drawer so long, because I really love it! 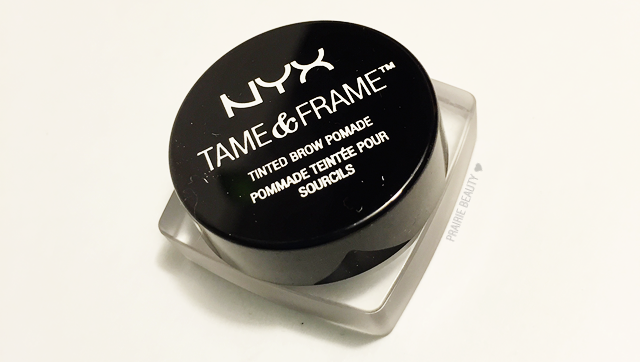 And at about $10CAD, this is a really affordable alternative (though, like I said, I can't really speak to it being a dupe) to higher end brow pomades. This definitely gets my recommendation.